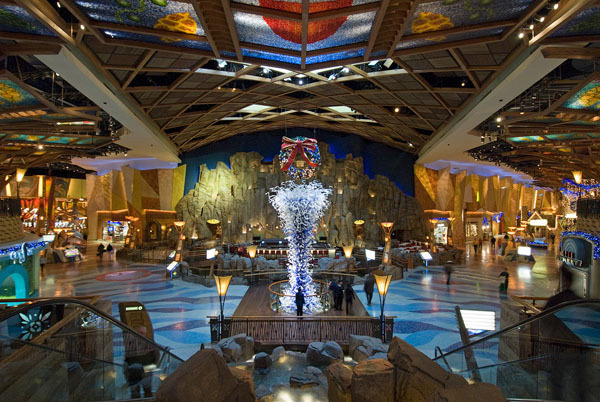 Let the fun lead you to Mohegan Sun the largest leisure complexes in the countryis just a few hours from New York City. In the heart of scenic Connecticut you will find the finest accommodations, luxury spas and world-class casinos in one place. Not only that, Mohegan Sun offers you and your family golf courses, musical attractions, a huge variety of bars and restaurants and of course, retail shopping! While staying at the luxurious hotel you can choose from one of the 1,200 rooms, suites and family rooms in two independent towers that also offer a fitness center and 10,000-square-foot indoor and outdoor pools. A new tower is being launched this an opulent addition that promises to take your stay to a new level with the most lavish accommodations, private access, personalized service and luxurious furnishings. For gaming excitement, enter and lose yourself in the middle of 300 square feet of gaming distributed throughout three casinos with nearly 5,000 slot machines and over 300 table games! Children are also welcome as the resort hosts the Kids Quest and Cyber Quest family entertainment facility, where they can have an adventure of a lifetime with a variety of activities to during their visit. If you love music and festivals, in the right place too. Mohegan Sun is famous for bringing big names show biz to perform in its grand arena that has approximately 10,000 seats in addition to premier sport championships. finest golf experiences in the region. Like everything else in this great complex, the golf courses are also grand. Hone your skills on the 18,foot natural turf tee Featuring a challenging design that accommodates all levels of play, the courses are maintained the natural beauty and contrast of emerald green fairways, native festivities and the ever-changing colors of the four seasons. Get your retail therapy on at the resort with over 36 boutiques to peruse from beauty to electronics and jewelry. Last but not least Mohegan Sun deserve a separate chapter. In addition to bars and lounges, you can find more than 45 restaurants here, with taste or diet. choices were the Mexican food restaurant SolToro and Michael Jordan’s . At restaurant SolToro all about Tacos and Tequila! Enjoy delicious contemporary yet traditional Mexican dishes like fajitas and fresh guacamole, washed down with cold Mexican beer and exotic cocktails. 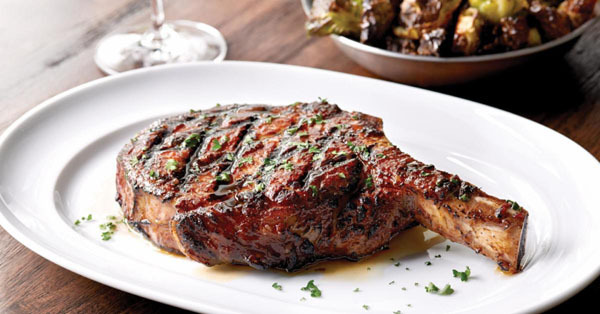 Michael Jordan’s Steak House elevates the classic steak house experience in a warm and energizing environment. The restaurant and bar offers USDA prime steaks, chops, fresh seafood, a-recognizedwine list, seasonal cocktails, local breweries and more. 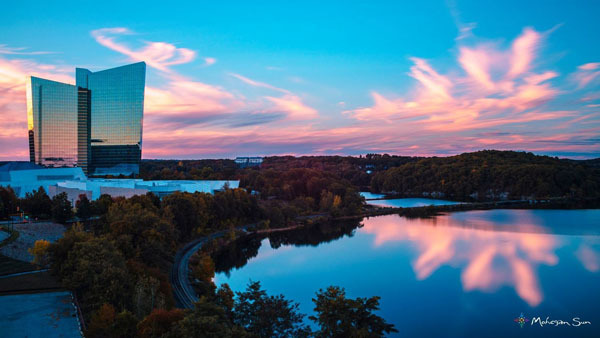 A world full of life and entertainment, Mohegan Sun is a spectacular destination for couples, groups, families and who just want to have some fun and enjoy a quality vacation.